Buses and trains are the most common means of transport in Belarus. Bus tickets are cheaper compared to train tickets but it is hard getting a bus ticket. There are car rental services available inside and outside Minsk at affordable rates. Other car rental services are available from the Minsk international airport. There are also several online car rental services online so you should not worry that getting a good car rental service may be hard or tricky. If you are intending to take a flight to Minsk,the capital city, the cheapest airport to fly into is the Minsk international airport. Belarus experiences the four common seasons. Summer,autumn,winter and spring. Summers in Belarus are normally warm and dry with more hours of sunshine while winter on the other hand,can be extremely cold with damp and wet conditions. Once in a while, snowfalls cause hitches in the city,but the time the situation returns to normal. The best time to visit Belarus is during spring when the weather is friendly. During this season, you can do a lot of things without having any worries about the weather. Ideal places you can find decent accommodation is in big hotels and guest houses. Both of these facilities are available within the city at affordable rates. You may pay for your accommodation using any major currency but the most preferred currency is the Belarusian ruble which is the country.s main currency. There are many tourist attraction sites in Belarus,some of which are great but little known around the globe. Some of the main tourist attractions are; Hrodna, Minsk, and the Belavezhskaja Pushcha Nature Reserve. More information about tourism and tourist attraction links is always available from the Belarus Tourism Board. Apart from the listed tourist attraction sites, there are also museums,theatres and galleries most of which have something to showcase about the world war two. An interesting fact about Belarus is the fact that, Belarusians enjoy slowly cooked food. They mainly eat pork and bread and their biggest meal of the day is dinner. They eat and drink very little for breakfast. Belarus has two main state holidays; the Independence Day and the Victory Day, both of which are celebrated across the country with massive fireworks display and a showcase of the Belarus military forces. 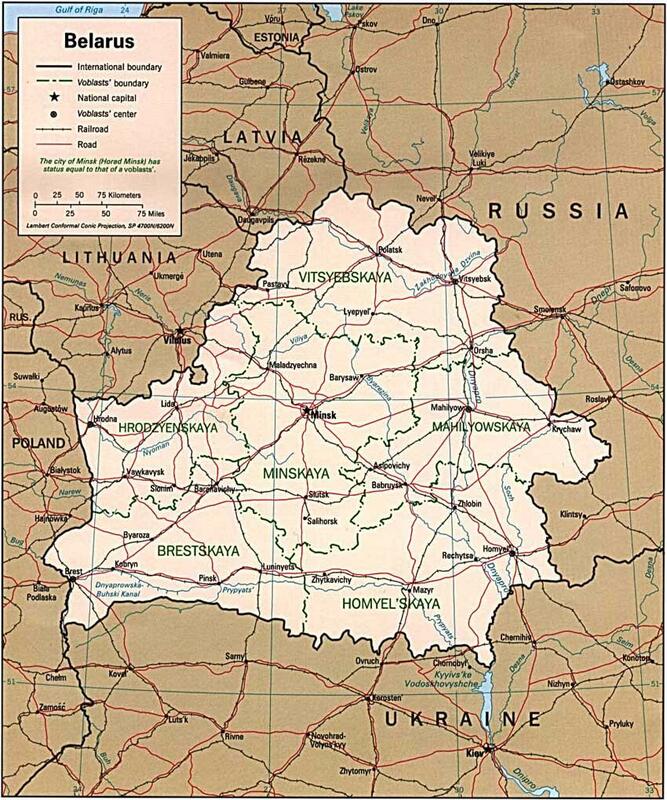 To ensure you do not get lost as you travel Belarus, always carry with you a map of Belarus with directions in English.